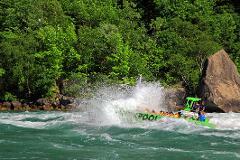 Get Wet and Wild on a Wet Jet Boat Tour of the Niagara River rapids. You'll find our American jet boating location on the waterfront boardwalk in the historic village of Lewiston, NY. 4 hour sightseeing tour of Niagara Falls, N.Y. including the Maid of the Mist Cruise and Cave of Winds, Prospect Point Observation Tower, American Falls, Bridal Veil Falls, Canadian Horseshoe Falls, Goat and Luna Island and much more! 4 hour sightseeing tour of Niagara Falls, Ontario, including the Hornblower Boat Cruise and Table Rock House, Canadian Horseshoe Falls, Whirlpool Rapids and escalation up the Skylon Tower. This Half Day guided fishing trip is perfect for those who want to fish but do not have the necessary equipment. Whether you are an experienced angler or you have never held a fishing pole we cater to people of all experience levels. 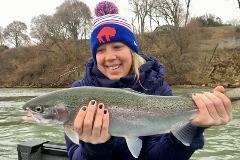 This Full Day guided fishing trip is perfect for those who want to fish but do not have the necessary equipment. 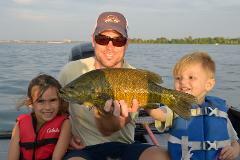 Whether you are an experienced angler or you have never held a fishing pole we cater to people of all experience levels. 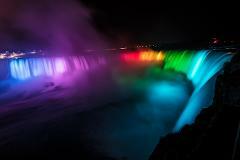 See Niagara Falls lit up in the evening! 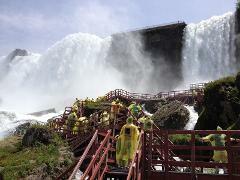 4 hour sightseeing tour of Niagara Falls, Ontario, including the Hornblower Boat Cruise and Table Rock House, Canadian Horseshoe Falls, Whirlpool Rapids and escalation up the Skylon Tower.